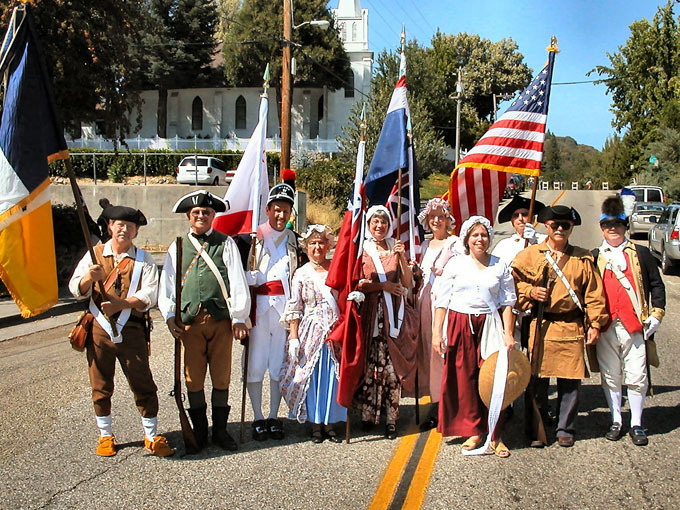 TheSacramento Chapter Color Guard was formed in 1998 when two members rented uniforms and marched with the Auburn and Butte Chapters at the July 4th parade held in Chester, California. 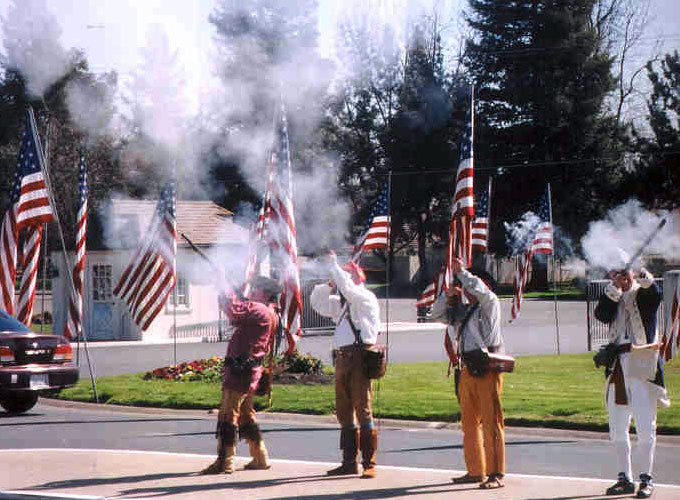 These men, realizing the importance of honoring our forefathers and all of those men and women whom have served in our military, made the commitment to work to establish a Sacramento Chapter Color Guard. 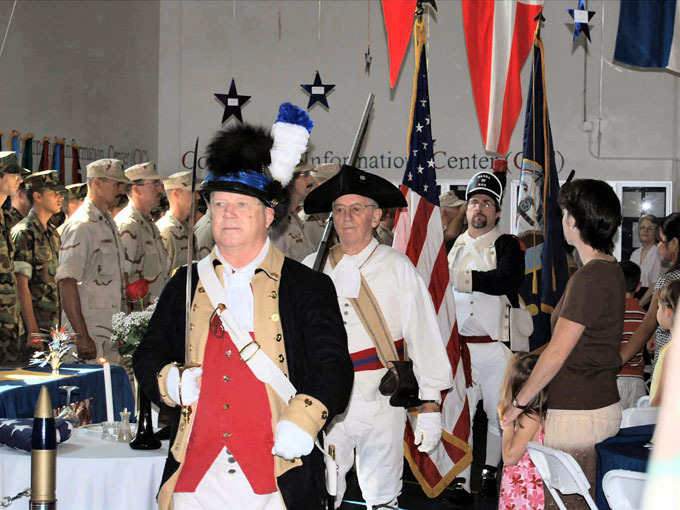 Over the next nine months, several members of the Chapter worked tirelessly in deciding which Revolutionary War Regiment to represent. Finally it was decided that we would depict the Massachusetts 4th Regiment. Next came extensive research to determine the precise details of the uniform. We were fortunate since a good journal of regiment's activities, and exactly how the uniform looked, was kept by a woman named Deborah Sampson who served, disguised at a man in this regiment for over two years. Our first "gig" was the Fair Oaks Fiesta Parade, held on May 1, 1999. There we won first place for the best marching unit and have since gone on to win many trophies and awards. We have performed in various area parades, flag ceremonies, dedications and school presentations. 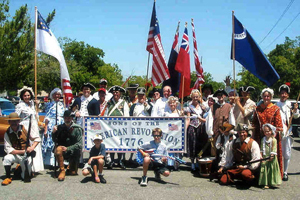 Several members of the Color Guard have uniforms of the Massachusetts 4th Regiment, others wear period dress representative of their ancestor's role in the Revolution. Our Color Guard includes several of our wives and children who also dress in period clothing. We are a volunteer Color Guard. If you have an event and are interested in having the SAR Color Guard participate, please contact us with the details of your event including date, time, location and size of audience. We will determine if we can assemble enough members	of our Color Guard to perform at your event.